The half square triangle. What a beautiful thing! 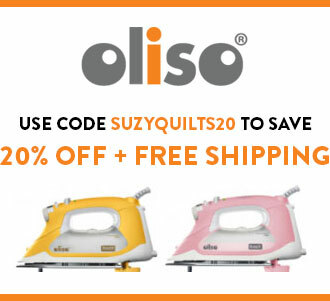 You can make hundreds of different quilts using just the simple HST. 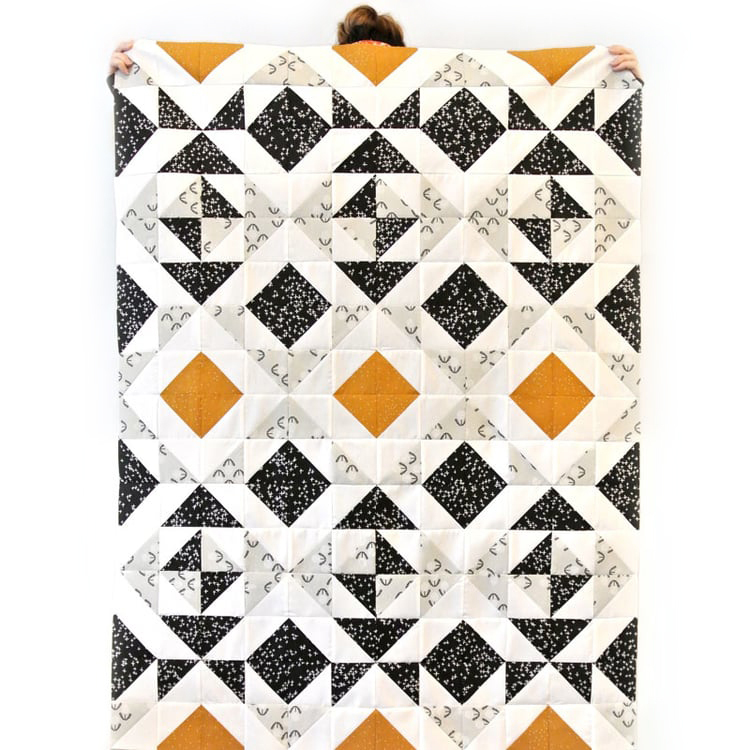 Comprised of simply a square made from two equal right triangles, this block is one of the most used and most versatile quilt blocks in history. 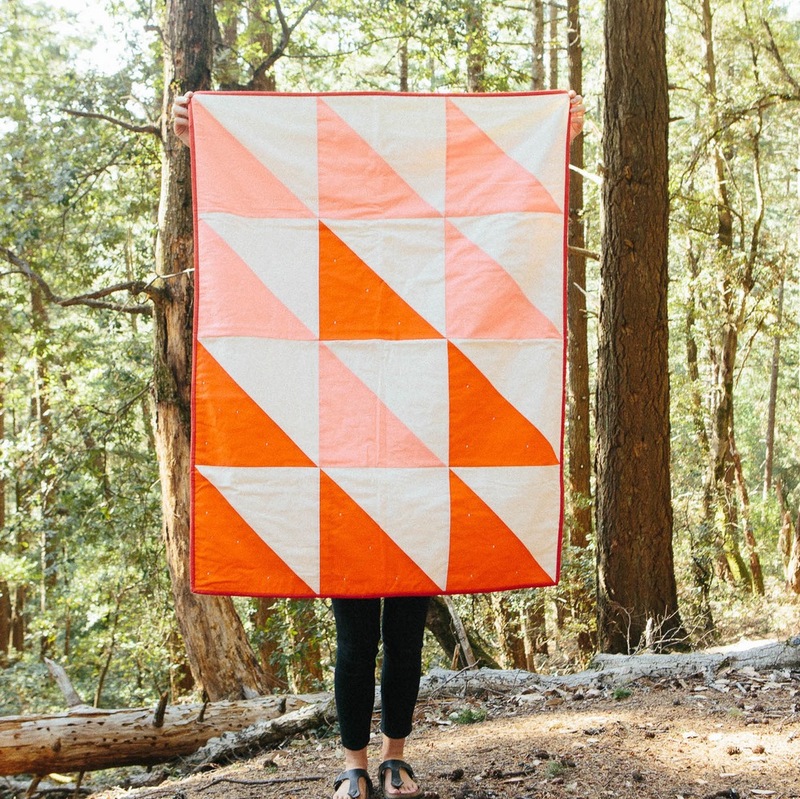 As a quilt designer, I find myself continually going back to half square triangles. It is a foundational block to some of the most famous quilts hanging in museums as well as simple baby quilts you find on Etsy. This quilt block is easy enough for beginners, but can be turned, rotated, resized and remade in so many ways, it remains complex and stimulating enough for advanced quilters. 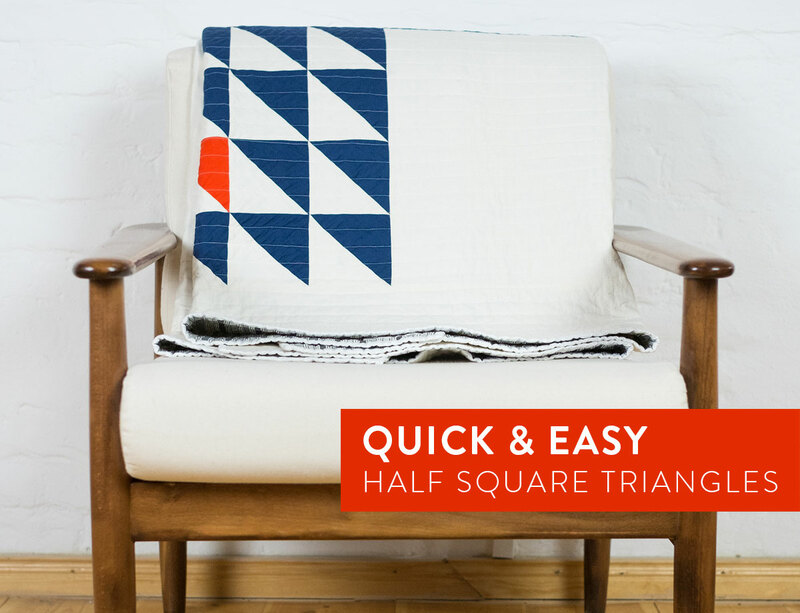 Check out this 3 minute video tutorial – make 8 half square triangles at once! *Note: In the video I mention that a 5 ½" square makes 8 unfinished 2 ½"​ HSTs. Since then, I have changed the math so that there is a little more wiggle room in the sewing and cutting. According to the chart below (which I recommend using) a 5 ¾" square will produce 8 unfinished 2 ½"​ HSTs. 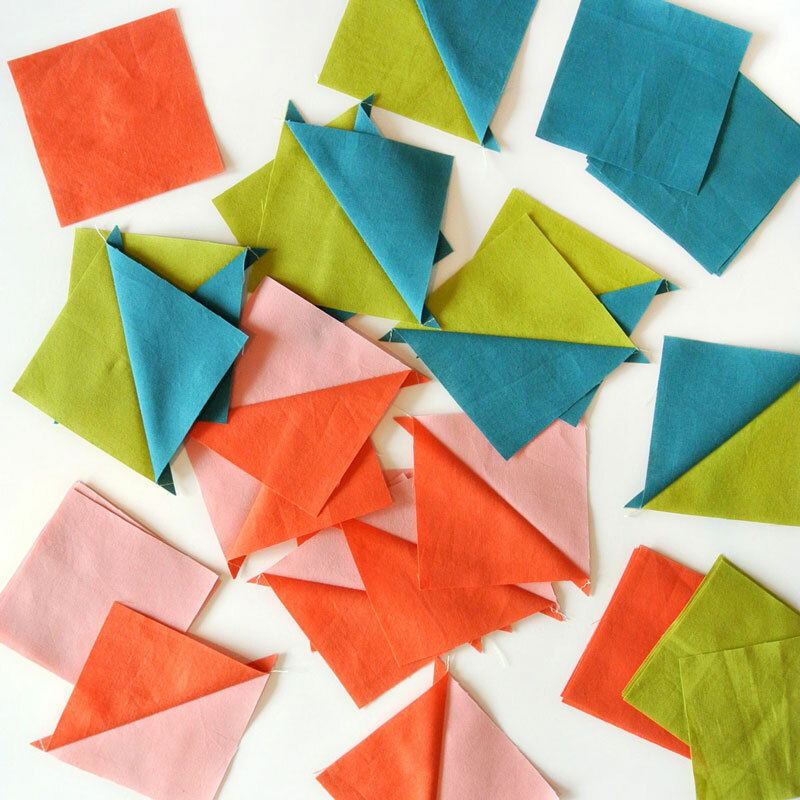 The amount of HSTs you need will determine which of these three techniques you will want to use. Based on what the pattern dictates, sometimes even within the same quilt you can use all three techniques. The first, is The Basic, which will produce 2 blocks. The second, is The Quad because, well, for obvious reasons, it will produce 4 blocks. The third technique is the Octo-Awesome technique (if you haven’t guessed, these names are home-brewed), and it will produce, ahum, can you guess? 8 blocks. Cut two squares of contrasting fabric (we’ll say a light and a dark). Place right sides together and draw a guideline from corner to corner on the diagonal. Sew a ¼” seam on both sides from the guideline. Cut along the guideline, press the seam and trim the dog ears. Layer one light and one dark square, right sides together. 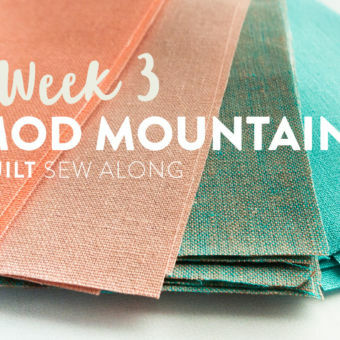 Sew a ¼” seam continually around the entire square, pivoting at the corners. Cut the square twice from corner to corner diagonally. On your light square, draw two lines diagonally, one horizontally and one vertically. Place one light square on top of one dark square, right sides together. Sew a ¼” from the guidelines. Press seams toward the dark fabric and trim dog ears. Add ⅞" to the finished size you want. The fraction ⅞" translates to 0.875. ​This math is more complex and will sometimes end up with an odd decimal. The chart below rounds the decimal up to the nearest fraction. If you need to be precise, trim the half square triangles once they are sewn and pressed. To figure out the math, divide the unfinished HST size by 0.64. 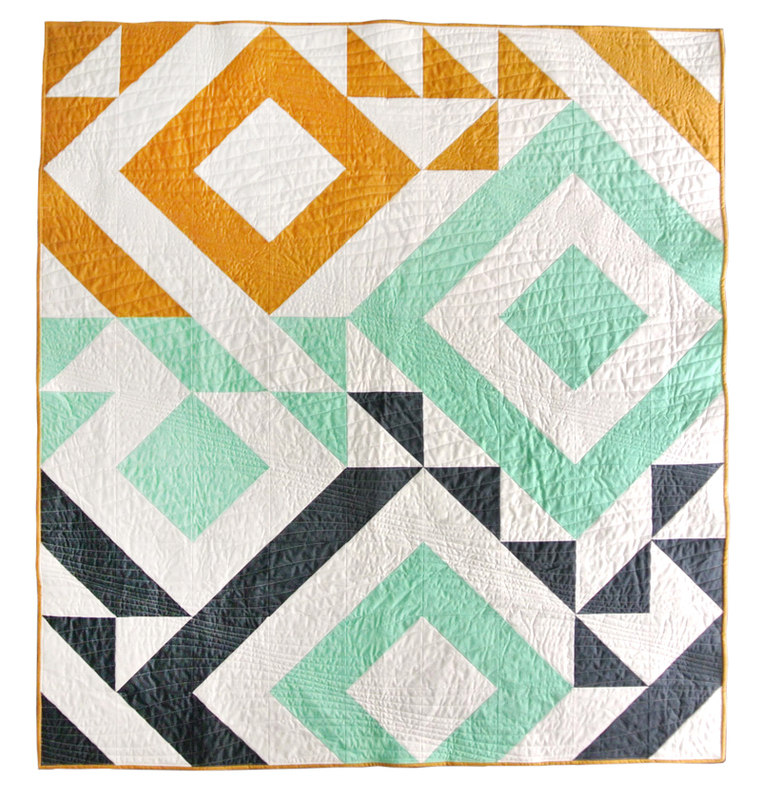 Triangle Jitters is one of my first cracks at designing a quilt. As a newbie, and being very intimidated by the prospect of going off-book, I thought it would be best to limit my color palette. I also decided that sticking with one block would make the math portion of writing a quilt pattern much easier. 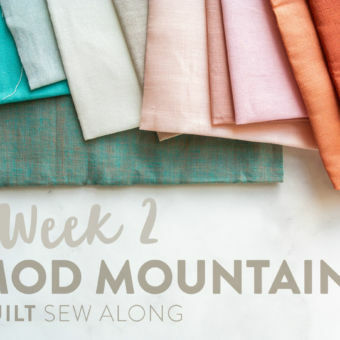 If you are an aspiring quilt designer, or if you are unsure about your creative skills, limiting your colors and even more specifically limiting your fabric to just solid is a great way to ensure success. By simply rotating HSTs, I formed diamonds, lines and larger overall patterns. 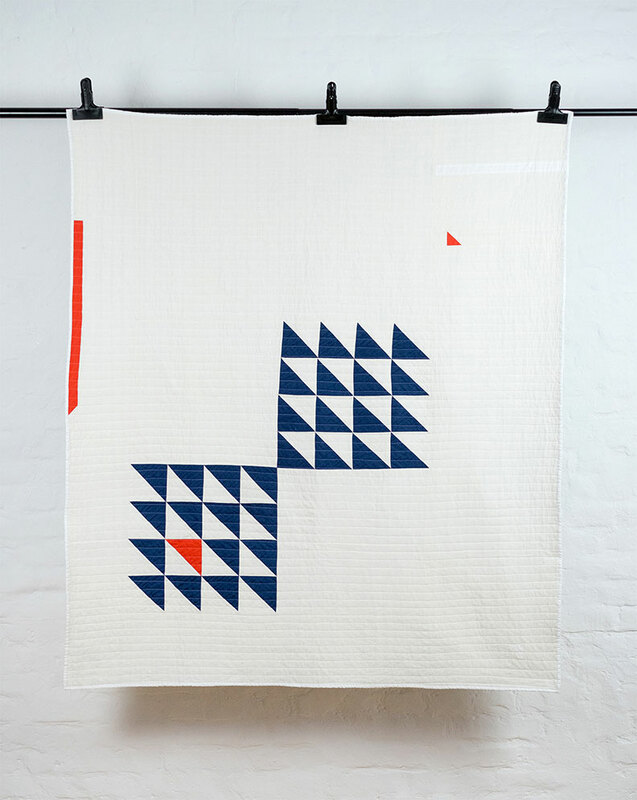 and by limiting the colors, this quilt is able to achieve a sleek, modern look. Nordic Triangles is a pattern currently for sale in my shop. This pattern uses the Octo-Awesome technique for creating the HSTs. 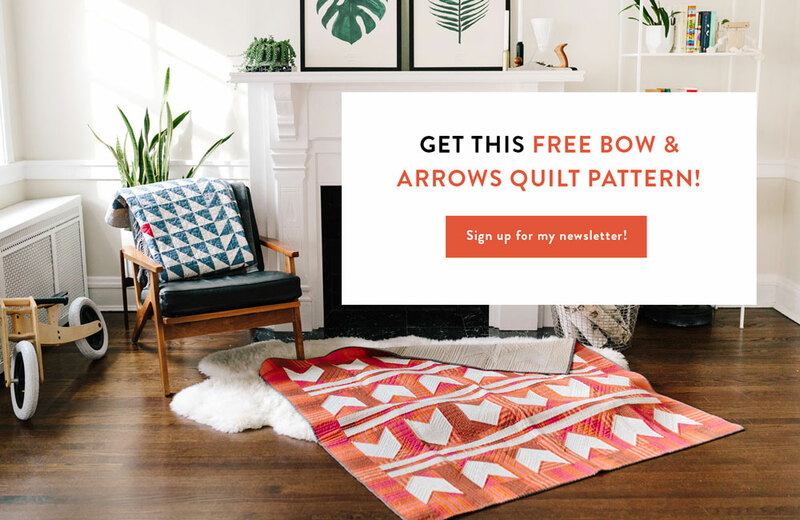 Because of the intricate way these triangles are varied throughout the pattern, this quilt can look vastly different based on the colors and the amount of colors one choses to use. 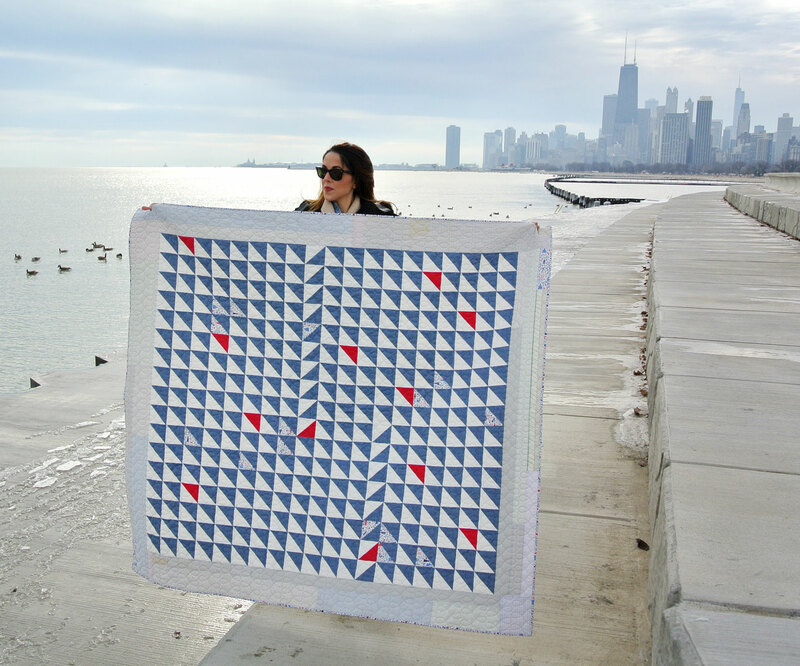 My Lake Michigan in Denim Quilt was inspired by the denim quilts of Gee's Bend. This quilt is made up of more than 320 chambray, broadcloth cotton and Liberty of London Tana Lawn half square triangles. War on Bias is semi improv. I usually work in illustrator but here I simply added on the design wall. This is the first quilt where I used materials that I had on hand – which was mostly old bedding and one vintage pillow (blue fabric) that we replaced. The blue fabric was kind of stretchy, which caused the name of the quilt. Since there was no way to get everything straight, I just went with it; it felt good to let go and just accept whatever form the quilt decided to take on. Thats also why I did not block it (honestly I never do…) and did not square it up in the end. I just trimmed off the batting. But the distortion is not very strong. In the pictures you can see everything is slightly off. I used the 4 at a time method for the triangles which is tricky as you work on the bias. This also added to the wonk. I love working with HST as you can use them in numerous ways but I don’t like the trimming. 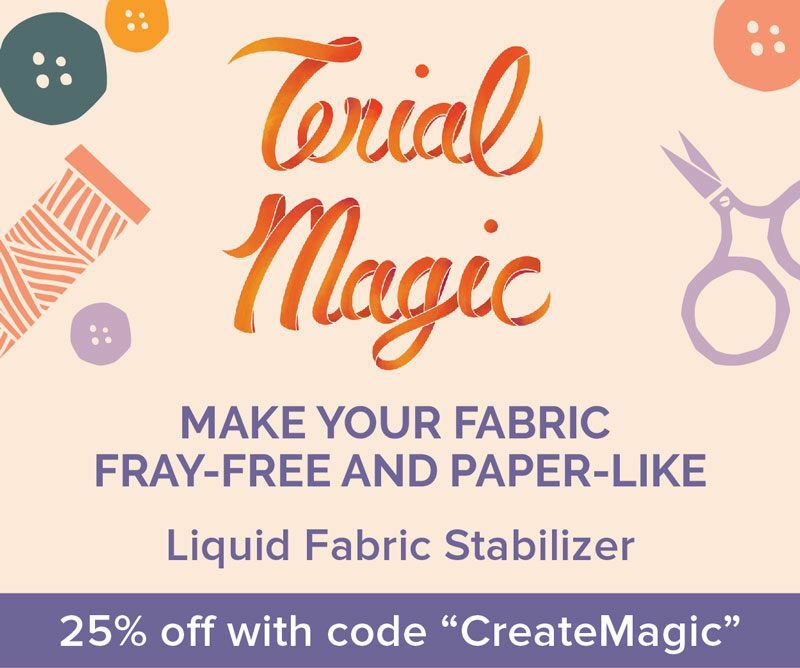 I’m still on the lookout for a good rotating mat…Also I press my seams open whenever I can, but prefer the 2 at a time method as I generally don’t like to use starch. I’m a big fan of negative space! I’m a trained swiss typographer which is influencing my work a lot. 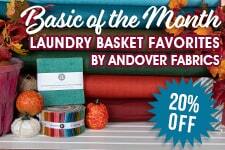 I like reduced color ways, black and white and generally prefer to work with solids. 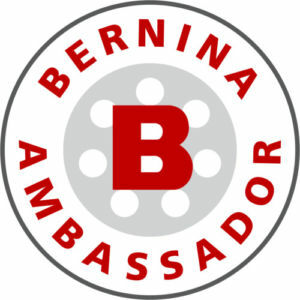 But I’m excited to see how living in Berlin will influence my work and how it will hopefully loosen up the strict Swiss in me! Like many, I’ve watched countless sunsets. There’s something really calming about watching the sun slowly dipping below the horizon, changing the sky around it into colors you didn’t think existed in nature. That a sunset is different every single day makes the event of witnessing this otherwise mundane rotation of the earth worth stopping what you’re doing to look at the sky. Watching the sunset is universal. Everyone has watched the sun set and I would be shocked to find someone who doesn’t enjoy it. You know you’ve taken at least one photo of “the most beautiful sunset ever”. I’ve watched the sun set in 39 states and I can’t say that any one place takes the cake for best sunset. They’re all incredible in their own way. Some dramatic and stormy, some technicolor, some gradual, but all fantastic. The Sunset Quilt is a feeble attempt at capturing some of the vibrant colors that this daily event can produce. The Maya Patchwork quilt was machine pieced with both new and repurposed cotton fabrics and was hand quilted using red cotton floss. 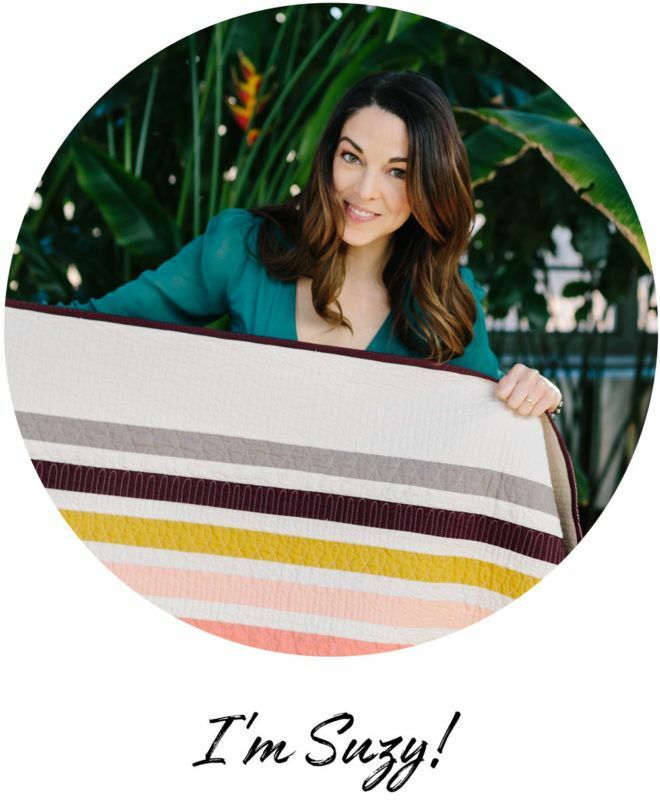 All of Amanda's quilts are unique and have imperfections that make them beautiful and different. Below is a HST cheat sheet so you can have all of the info in one JPG. Be sure to save it on Pinterest! Hi. The video says 5.5″ squares will yield 8 2.5″ hst is this correct? It doesn’t seem to match the table posed above for octo hst…maybe I am not understanding? Love this way and want to try! Thank you! I definitely need the wiggle room. Your quilts are so beautiful. I’m off to make some HSTs. Thank you so much for this tutorial! 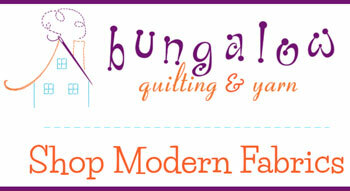 It was so helpful and gave me enough encouragement at tackling a half triangle quilt. I love HST because of the flexibility to create several designs. Do you have a table that shows say I want to do a baby quilt or a lap size quilt and I already have a bunch of 6″ squares cut. How many squares do i need to make a proportional quilt? I have several 6 in squares and 10 in squares that I would like to do something with but I always struggle getting a proportional sized blanket so mine are always unique. haha. 😀 What is the typical size square you cut than can be used for several designs and sizes quilts? i ordered the Triangle Jitters pattern and after some head scratching I got to work. Just finished the quilt top today and I LOVE it. 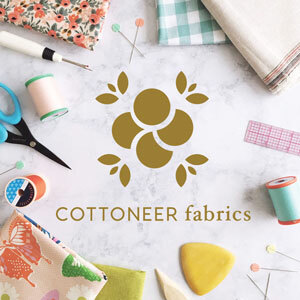 Am completely obsessed and already planning different fabric options. Thank you so much and I really enjoy your site. 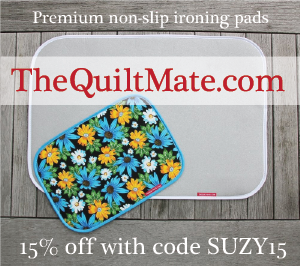 I am new to quilting and am gravitating towards a more modern look. You have given me so many great ideas and opened my imagination. You just made my week with this tutorial, and the technique breakdowns. I’m a total beginner but have wanted to figure out this type of triangle cut for so long…and then I found you! Thank you! I have a niece and a nephew due in a few months and I’m going to use them as my guinea pigs! thanks so much, this should make it a whole lot easier!!!! Thanks so much for showing the three methods together! It really helped me finally “get it”. Great info on hst and the varieties to cut; also appreciate the size charts for each method. Thank you. Best sunset ever is in Albuquerque New Mexico. Have you been there? It’s like fire in the sky. All that fine dust from the desert kicking up into the atmosphere, I think, does something magical. I’m making Fly Away and while I have made plenty of my half-square triangles using the 8 at a time method, after laying it out I have decided I need more in some of my fabrics. So, back to the sewing machine. I thought 4 of each would be great and I came here to look at how to make them, but I have a question. Making them 2 or 8 at a time you seam across the bias edge of the fabric, but on the 4 at a time the seam is on the straight grain, leaving the bias as the edges of the square. I know I am being super picky about that detail, but what are your thoughts on that? I know that strip piecing the squares puts the seam on the straight grain, too. I’m likely to make them 2 at a time to keep the bias stable in the seam. Just wondering what others think. Hello! I found your site via Instagram and I just LOVE it! I am making my first quilt (a baby quilt) for my baby and I love the half triangle pattern. 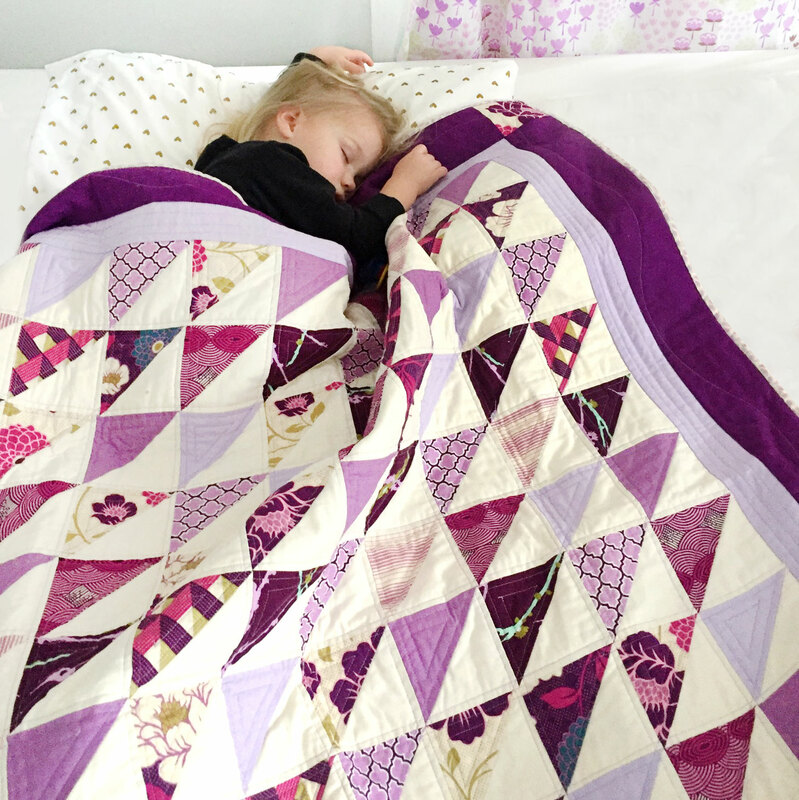 Would you mind sharing which square size you used for the beautiful purple and lavender quilt pictured above? I figure I would probably have to go smaller for a baby quilt but wanted to know the size so I could have a frame of reference. Thanks so much! How clever is this! I am not a quilter, but recently started my 6-year old granddaughter to sewing simple block squares together to make a twin size quilt. We will have to try this. Thank you for sharing. Thank you for this most enlightening blog. This will be my first time making a triangle quilt and after looking at your demonstration I am looking forward to it. Since I’m a relatively new quilter, I’m confused about the headings on the HST tables. On the Basic and Octo the headings of the columns state FINISHED HST, but the Quad column headings state UNFINISHED HST. I’m making a quilt that uses 6 1/2″ HST, but when they are sewn into the quilt, allowing for the 1/4″ seams, they’ll end up 6″. I want to use the Octo method since this is a king-sized quilt and I need a lot of HST. If I use the Octo method, will I need to cut the HST down to 6 1/2″ or will following the table give me the 6 1/2″ unfinished block. HELP!!! I love, love, love having three different methods of making multiple HSTs. If you want 6″ finished HSTs, according to the Octo method, you need to cut 13 3/4″ squares (this will give you 6 1/2″ HSTs unfinished. Since you are a beginner, I would recommend getting yourself a 6 1/2″ square ruler and upping the cut size by a 1/4″ (14″ square). That way you can have some wiggle room and trim them down to be exactly the size you need. I would also recommend making a test block before diving into batch sewing for a huge quilt. Good luck! If I’m hand sewing, can I still follow the octo-awesome short cut? Or do you recommend to actually start and finish with a knot in that case. Total beginner. Are you piecing by hand? If so, I would recommend sticking with the simple Two-at-a-Time method. I worry that with hand stitching you could lose some of those stitches if they get cut up. Thanks for responding so quickly. Off to press and trim my HSTs. BBC miniseries, here I come! The link to the sunset quilt isn’t working, it produces an error message. Can you re-post? It looks like this link is no longer working, but if you hop around on the Vacilando website, you’ll still be inspired! Do you sell your cheat sheet math chart? I would be very interested in ordering a few. I don’t, but you could print this one out. 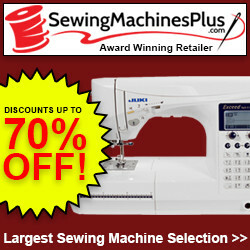 You can mash, smash, stretch and tuck any which way as long as the two pieces are sewn together. Sometimes you gotta “cheat” a little to make all of those seams line up. 😉 Another thing I like to do is add a 1/4″ to the cut squares so that my HSTs come out large enough for me to trim them all down. That gets them all really nice and square. Good luck! Great question! Inevitably after sewing HSTs you’ll have little “dog ears” or excess triangles on two of the corners because of the seam allowance. Those will need to be trimmed off. In many cases (usually in mine, and I’m not a beginner quilter) the HSTs come out slightly different sizes and will need to be trimmed a bit so they are (relatively) uniform. The last time I made a Nordic Triangles quilt I actually upped my cutting sizes (the squares you cut for the octo method) by 1/4″ so that I could trim all of the blocks down precisely. 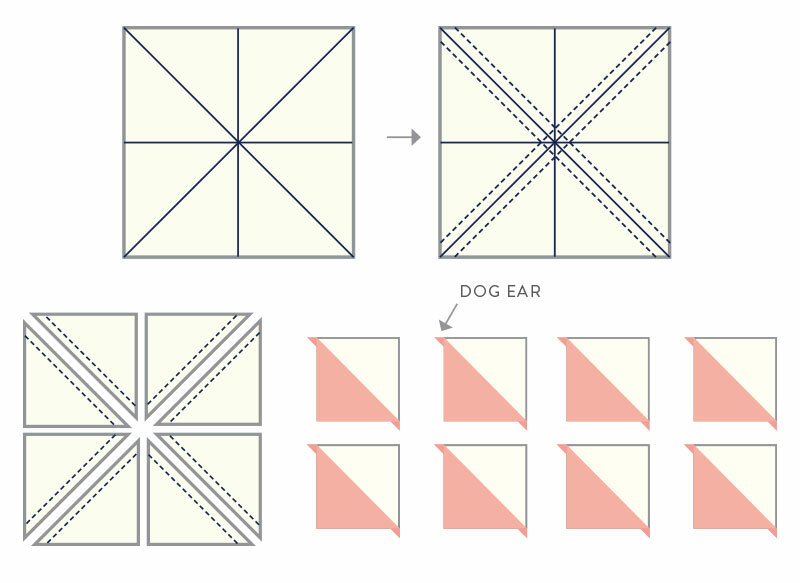 The way the pattern is now, the HSTs should come out as the size needed and all you need to do is trim the dog ears. 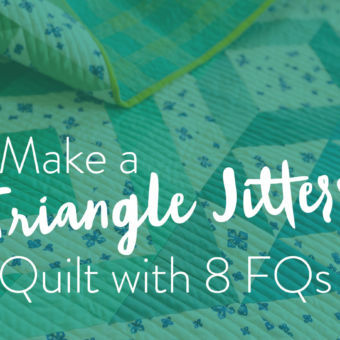 I just purchased the Triangle Jitters pattern to make a quilt for our king size bed. I think I was ambitious in thinking that I would be able to easily size-up the HST to the correct size, but I’m confused. Can you tell me what the square size should be for a king size quilt? Well, according to this quilt sizes chart, a standard king quilt is about 110″ x 108″. The Triangle Jitters Throw is pretty close to being square in size, and that design is 9 x 10 HSTs. I would probably make the finished HSTs 12″ so that your finished quilt will be 108″ x 120″. The Basic HST method will be the easiest, since you’re working with big pieces of fabric already. Go ahead and cut your squares 13″, that will leave you a bit of wiggle room to trim, then follow the instructions for the Basic method. Good luck! 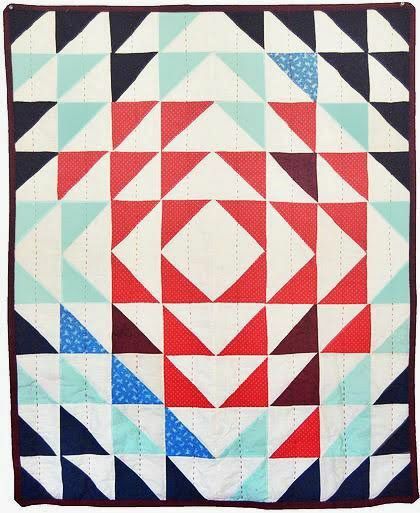 I also just bought the Triangle Jitters pattern to make a queen size quilt with one additional color and borders. If I use 8’ finished squares will it be obvious how to continue the pattern to accommodate the larger dimensions, or will I just need to wing it? Thank you. To make a queen version, use the Throw quilt layout (9 blocks x 10 blocks). Using this sizing chart, a standard queen is approximately 90″ x 108″ (I say approximate because you can fold a quilt to fit or let it hang off the edges of a bed as long as it’s in this sizing ballpark.) 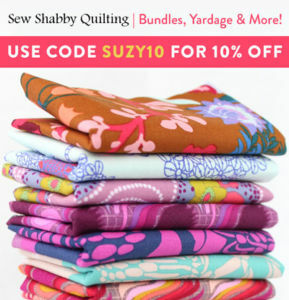 If you make your HSTs 10″ finished, that will give you a finished quilt of 90″ x 100″. You can add a border at that point or, if you really want to accentuate the border, make your blocks a bit smaller.